There are so many amazing apple books to engage your learners in an apple unit. One of my favorite books to read to my class is perfect for engaging background knowledge while introducing the seasons of an apple tree. Using books that help teach multiple concepts is just smart teaching. 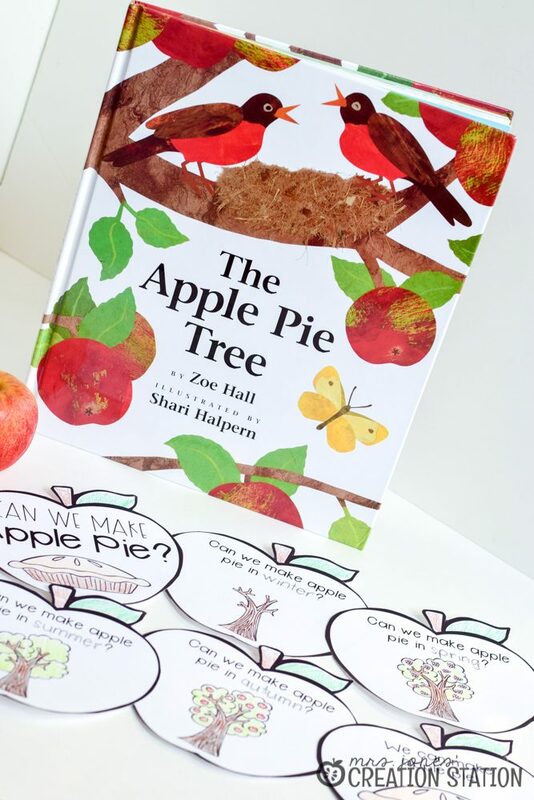 That is why The Apple Pie Tree by Zoe Hall is just perfect for little learners during an apple unit. This book is a great way to get learners thinking about their experiences with apples or gardening. Engage prior knowledge with questions during reading by asking learners to share similar experiences. 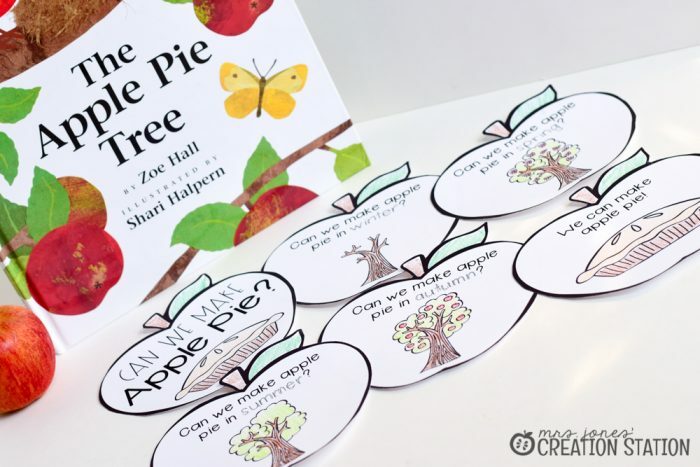 An apple unit is a great way to introduce the seasons of the year to learners. In September the weather is changing and soon summer will be fall. After reading this book create an anchor chart of the seasons with your learners. Have learners add the seasons of my tree page to this science notebook, too! 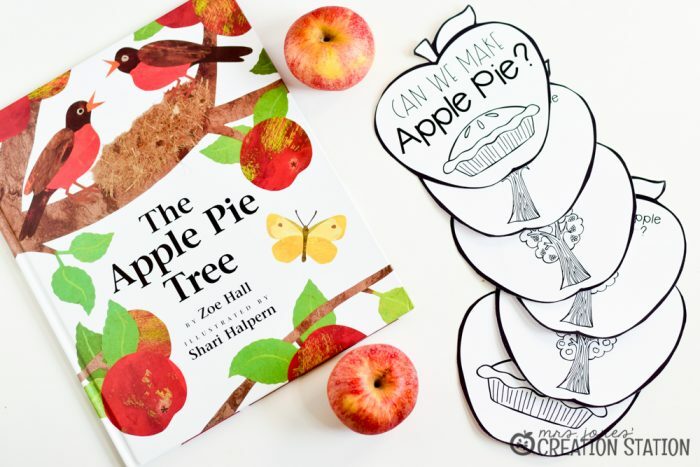 This reader is perfect for your learners to create after reading The Apple Pie Tree. 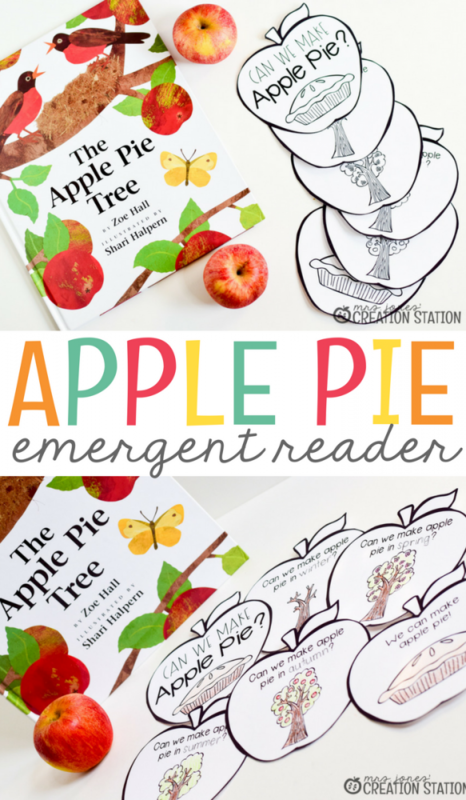 An apple shaped book that reviews the seasons with learners is just perfect. You can download this free emergent reading by clicking the MJCS download image at the bottom of this post. Need some more ideas for your apple unit? Find more apple books to include in your apple unit here. Create an apple lapbook with your learners to use throughout the year to review the unit. Use this printable to help guide your apple science exploration. 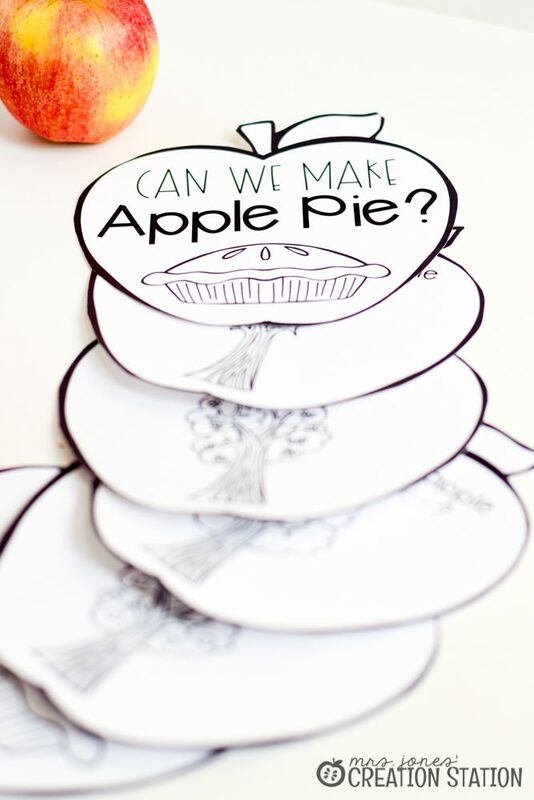 Grab this apple unit to use with your little learners.